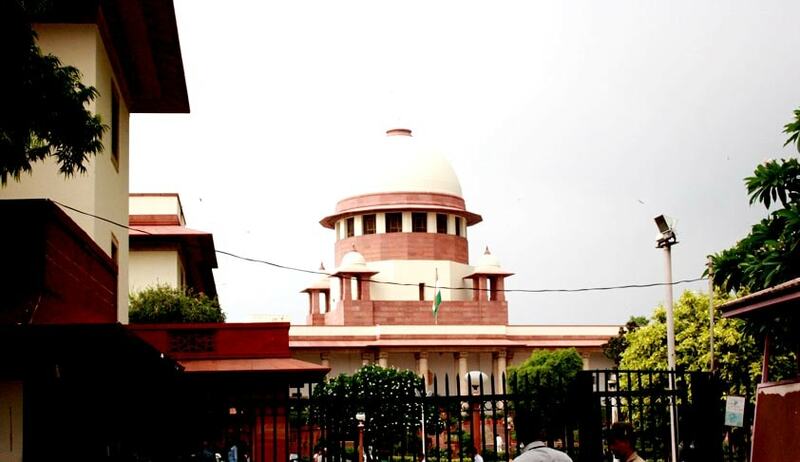 Supreme Court of India Today has quashed a First Information Report under Sections 304B (Dowry Death) and 498A (matrimonial Cruelty) against an Air Force Officer and his relatives, registered Five years after closing of the Case as no offence was found to have committed. The Two Judge Bench comprising of Justices Madan B Lokur and R.K.Agrawal held that such extraordinary delay in lodging the FIR raises grave doubt about the truthfulness of allegations made against the appellants, which are, in any case, general in nature. At the time of the incident, Mr.Manoj Kumar Sharma was working in Indian Air Force. On 20.09.1999 his wife Nandini Sharma committed suicide at her matrimonial home. On 22.09.1999, post mortem was conducted on the body of the deceased and the body was handed over to the relatives for performing last rites. On 22.09.1999, the officer in-charge of the investigation, submitted a report stating that there was no sign of foul play in the occurrence. On the basis of the investigation, on 24.01.2000, a Final Report was submitted before the sub-Divisional Magistrate which got accepted on 19.02.2000. Simultaneously, a Court of Inquiry (CoI) was also convened to investigate into the alleged role of the appellant-accused but after completion of the Inquiry the case was finally closed on 25.07.2000. After five years of the closing of the above case, a fresh First Information Report (FIR), dated 29.05.2005 was got registered by brother of the deceased against Manoj Sharma and his relatives at P.S. Bhillai Nagar, District Durg under Sections 304B, 498A and Section 34 of the Indian Penal Code, 1860. The Bench has also considered the other grounds raised in the Appeal. It is contended before the Court that the P.S. Bhilai Nagar, Durg had no territorial jurisdiction to investigate the matter alleging commission of offence under Sections 304B and 498A of the IPC because none of the part of the alleged offence was committed within the territorial jurisdiction of P.S. Bhilai Nagar, Durg. The Bench observed that it is true that territorial jurisdiction is prescribed under sub-section (1) of Section 156 to the extent that the officer can investigate any cognizable case which a court having jurisdiction over the local area within the limits of such police station would have power to enquire into or try under the provisions of Chapter XIII. However, sub-section (2) makes the position clear by providing that no proceeding of a police officer in any such case shall at any stage be called in question on the ground that the case was one which such officer was not empowered to investigate. The Bench held that at the stage of investigation, it cannot be held that the SHO does not have territorial jurisdiction to investigate the crime. But after the investigation is over, if the officer arrives at the conclusion that the cause of action for lodging the FIR has not arisen within his territorial jurisdiction, then he will forward the case to the Magistrate concerned empowered to take cognizance of the offence. In the instant Case, Nandini Sharma committed suicide in her matrimonial home at Ambala. The information with regard to the said incident was forwarded to the Police Station Mulana, District Ambala. The Ambala police closed the case after fulfilling the requirements of Section 174 of the Code holding that there was no foul play in the incident and also there was no requirement of lodging FIR under Section 154 as none of the family members of the deceased raised any suspicion over the death even though the death was committed within seven years of marriage. But, as per the materials on record, in Crime No. 194 of 2005, charge sheet has been filed and the Judicial Magistrate First Class, Durg has taken cognizance of the proceedings. Considering the above facts, the Bench held that, the Court at Durg has no territorial jurisdiction to try the case and the proceedings are liable to be quashed on the ground of lack of territorial jurisdiction since the entire cause of action for the alleged offence had purportedly arisen in the city of Ambala. In view of the above, we are of the opinion that the investigation on an inquiry under Section 174 of the Code is distinct from the investigation as contemplated under Section 154 of the Code relating to commission of a cognizable offence and in the case on hand there was no FIR registered with the P.S. Mulana neither any investigation nor any report under Section 173 of the Code was submitted.